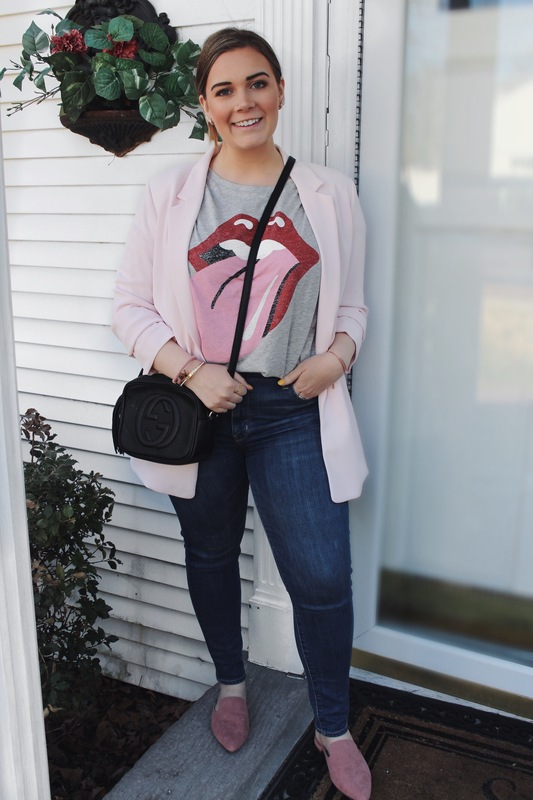 A blazer, jeans and a tee has always been a classic look. 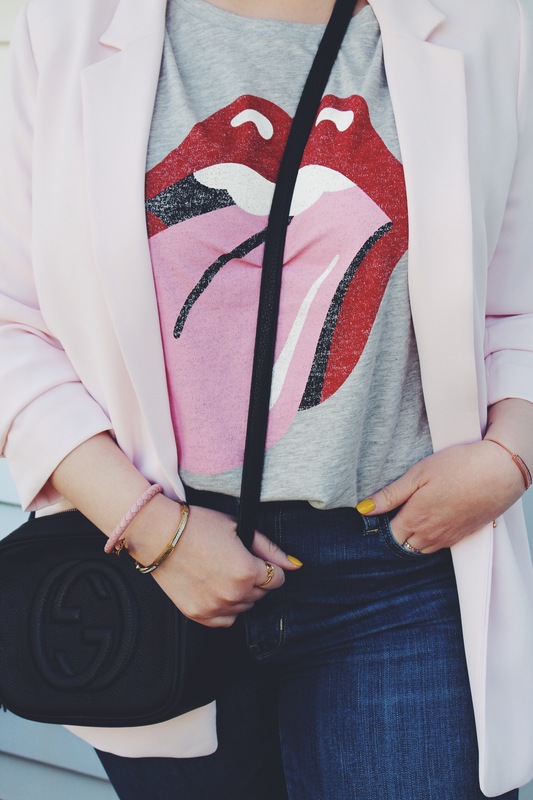 Recently, with the rise of graphic tees, the plain tee under a blazer has changed. 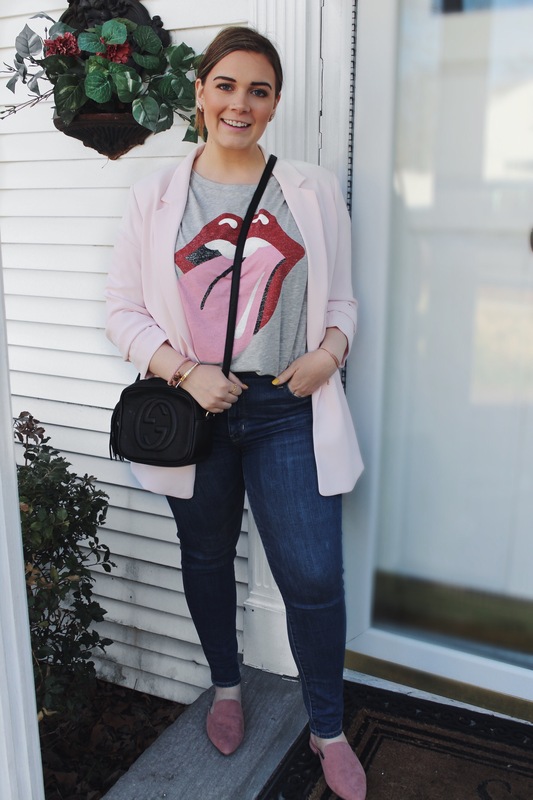 Now, we see a blazer, jeans and a graphic tee. 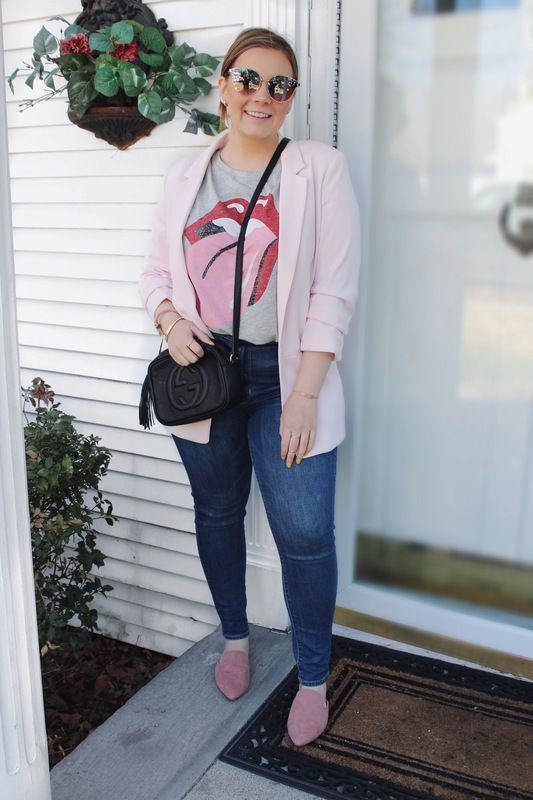 Dressing down a blazer is something I love to do. I am obsessed with graphic tees. I think they’re so fun and well, they’re comfortable so thats a huge plus. 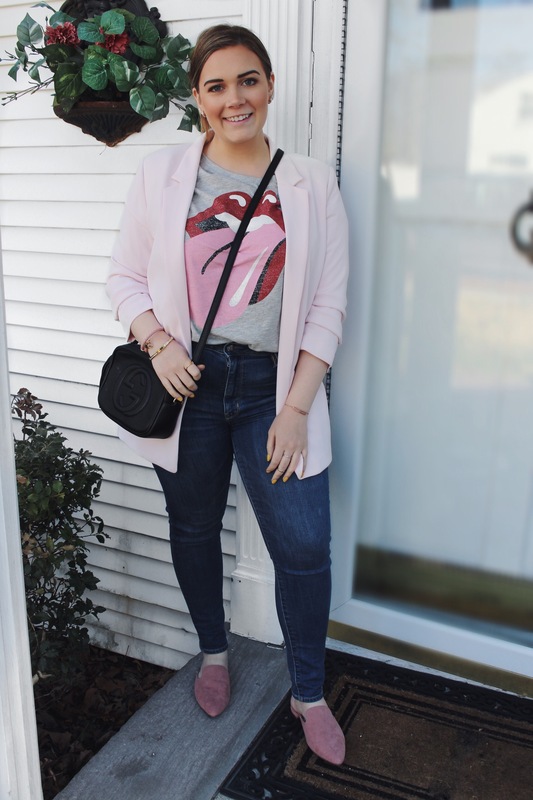 I purchased this blush pink blazer (unfortunately sold out, but I have linked others) and I knew I had to style it with a graphic tee. 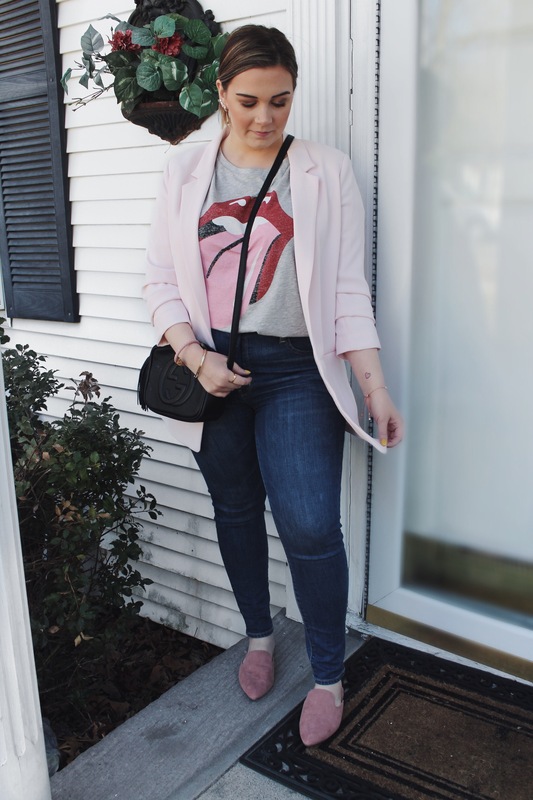 It’s such a feminine blazer (it even has ruched sleeves) so you think it would look terrible with a graphic tee, but I think that just makes it look better. 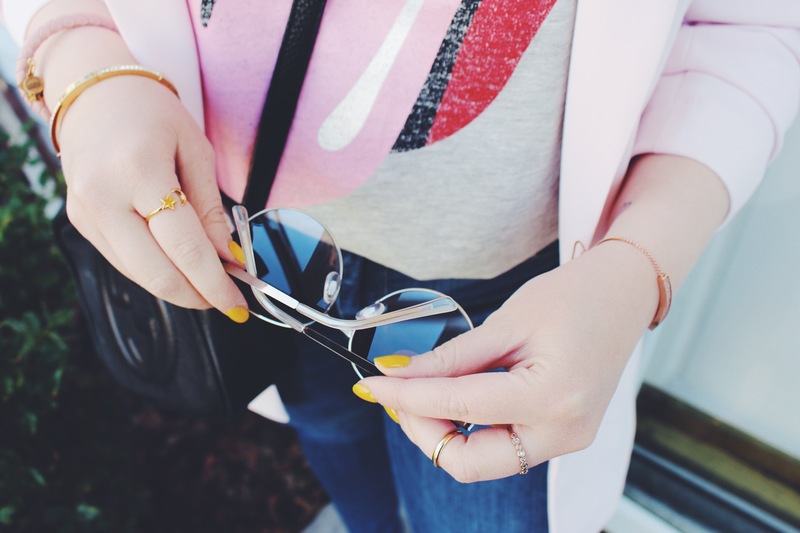 Who doesn’t love some edgy mixed with a girly style? 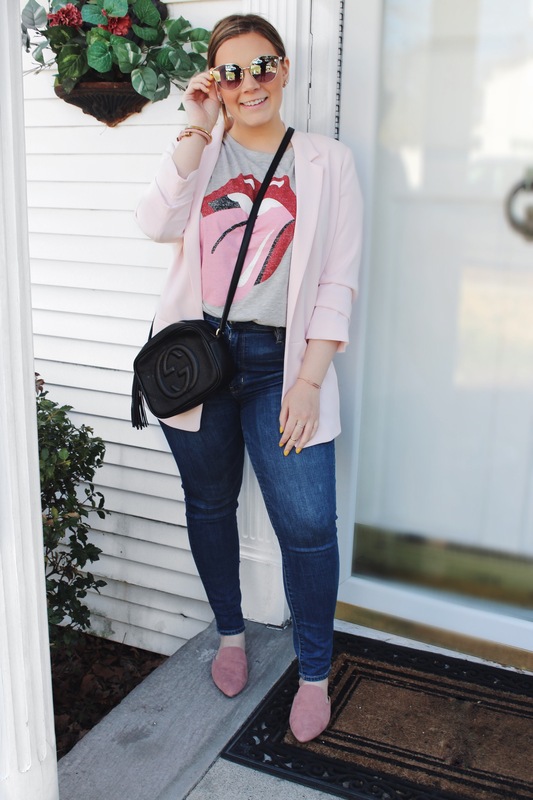 I was going out to lunch with some friends when I wore this outfit and I was so comfortable and felt super stylish, but casual at the same time. All my friends loved this look too. 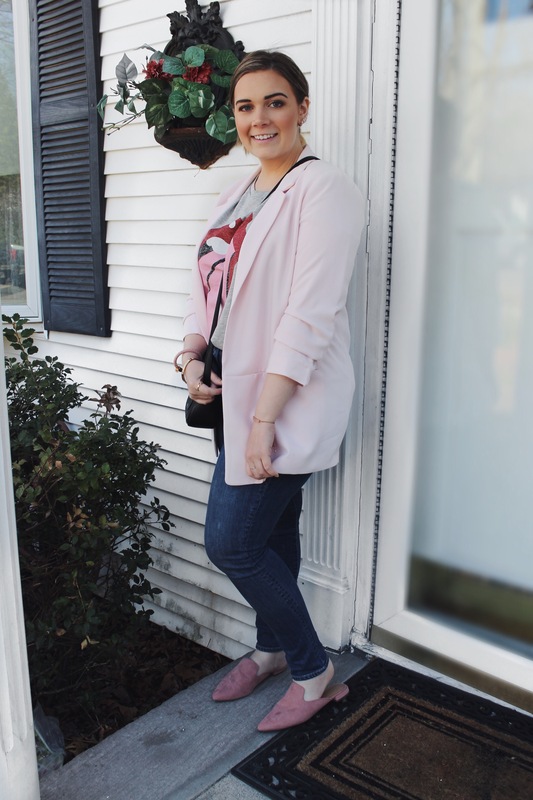 This is definitely one of my new favorite ways to style a blazer. You’ll be seeing more of this, especially in the fall months. I’d love to see how you interpret this trend! Tag me in your pictures via Instagram. Thanks for reading! Super cute! I absolutely love this trend and have done it a lot recently! Love wearing this look at school- dressy yet casual! I also love graphic tees with skirts! Thank you so much!! Yes graphic tees with skirts is so cute!